Some remain on the hunt for that perfect person, but is hunting the right way to go about it? When it comes to those who are single, there seems to be two groups. For now let’s call them Group A and Group B. Group A tends to use their time productively, using their single status to do things that might be harder to accomplish if they were married or in a relationship, like going on a lone self-discovery trip or just taking the time to learn what they really want in a mate. And many times people in Group A won’t even think about relationships or finding the ideal mate and through their solitude they find a way to be content without having a steady mate and will maintain that level of satisfaction whether someone great arrives or not. This group uses a lot of mental space dreaming about that one day when their prince or princess will appear over the horizon on that same white horse that’s in every fairy tale they ever loved as a kid. And each day that doesn’t happen is considered a loss, which keeps them in a state of perpetual want and anticipation. Additionally, the person in Group B fears being alone for the rest of their lives more than they fear the Boogieman himself, and in their head remains an image of eating alone, sleeping alone and never getting the chance to experience love, commitment and all the other things that make a relationship exciting and healthy. 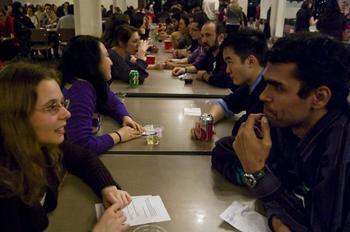 Both single people in Group A and Group B will hit the online and offline dating circuits, but one group will do it to be social and meet new people and the other folks—Group B—will play a numbers game and go on as many dates as they can to increase their chances of finding Mr. or Mrs. Right; these people are known as serial daters. I'm sure you know the type. They’re the ones who turn dates into interviews to size up potential mates and they think every kind and attractive person they meet could be The One. 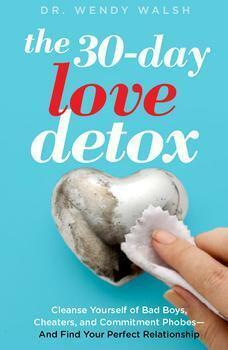 To find out why someone really becomes a serial dater we spoke to relationship expert Wendy Walsh, Ph.D., author of "The 30-Day Love Detox" and resident expert at DatingAdvice.com. She says that many people who are serial daters are actually more comfortable with ending relationships for a number of reasons, instead of putting in the slow work and time it takes to get to know somebody. “On a personal side we’re becoming more and more emotionally avoidant,” says Dr. Walsh. Another reason people jump from person to person, Walsh says, is because they simply don’t know how to be alone. In fact some people never even gave single life a fair try. “A lot of people have early life traumatic experiences where they didn’t have a secure attachment, so sometimes it’s a detachment disorder where people have trouble connecting,” she says. 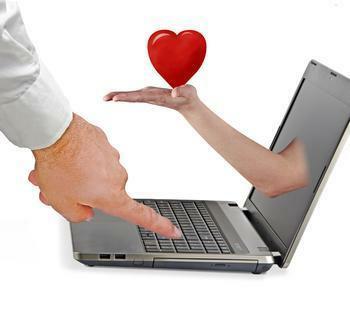 Furthermore, technology has made it much easier for a person to explore several dating options at the same time and both dating and social sites provide people with perpetual hope that they will finally meet that fantasy person that always lived inside their head, says Walsh. Technology has done another thing to dating too, she explains: It just about ended the traditional ways of courtship and has made people place a stronger focus on quantity and speed instead of quality and proper pace. “Nowadays [a guy] can sit in their mom’s basement and play Xbox all day and ask women to text a naked picture of themselves, and that’s all the courtship they need to do,” said Walsh. Another characteristic of the serial dater is their willingness to believe that a few good dates equal a possible soul mate. “A lot of people believe that a “hookup” can be a stepping stone to a relationship—about 35% of women in one study believe that—so they’re moving too quickly,” she says. And although both genders tend to be serial daters, Walsh explains that the reasons are different. Women tend to serial date because they’re looking for a very specific someone, she says, and men do it until they’re able to reach a certain point of willingness to commit. A few things that push that readiness for some men are things like reaching a certain financial status or level of education and if a guy’s group of friends have settled down, he may be more likely to settle down too, she says. “A sign of a man’s state of readiness is that all his single buddies are going down," Walsh advises. But does that mean a person should settle for someone who doesn’t posses the things they’re looking for? Walsh says the word “settling” shouldn’t even be used in relationship terms because it implies that you’re purposely lowering your standards and getting nothing you actually want. “That’s that negative word in our culture that makes no sense,” she says. Walsh says it’s in our nature to seek out a person of a higher status, whether it’s financial, social or in other ways. And men tend to gravitate towards youth and beauty, while women tend to seek a man that’s older and has a bit of financial stability. “Both genders do say that they look for kindness and intelligence above both of those things," she says. "So it’s about breaking down the details of that particular person and then asking yourself, ‘am I ready to commit.’ "
"It’s not should I settle, it’s can I get there, can I commit," Walsh explains. And hopefully, if you do that or simply find a level of contentment while being by yourself, you can move from that overcrowded B group of single people and move over to the more relaxed and satisfied A group of single people.